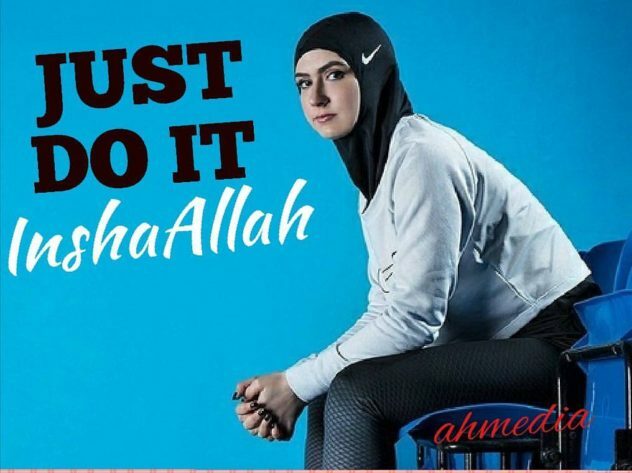 Muslims | Notes From America ! Being a Muslim is a Preexisting Condition!! 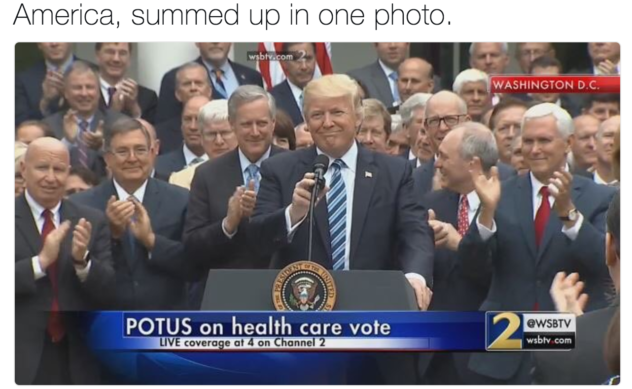 The frat boys of the Republicans House of Representatives, celebrating the Trump Care win in the Rose Garden was the most disgusting, lewd political act in recent years. We aren’t even talking about the absent of women in this political binge celebration. The premature mission accomplished II” gloating about dropping the MOAB, the Mother of All Bills on millions of Americans, shows the revengeful nature of the GOP , who seems to be acting like a hate group; who hate sick, poor, seniors, Muslims, women, science, and immigrants. “•States with the most mosques are New York (257), California (246) and Texas (166). Any group or Imam can open a mosque if they let them. If you don’t like a mosque you simply go to another one or build your own. Imams build their own mosques not to breach jihad but to ask for money to fix the roofs or bathrooms! 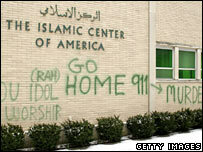 One mosques here, runs by a group of Imams that are interested only in dead Muslims than lives one. They run the biggest Muslims cemetery in the state, and charge $5000 for a head, for them a good Muslim is a dead one. The role that mosques play in Muslims’ lives and belief system is way overstated.